Considered one of the best restaurant managers of Europe. 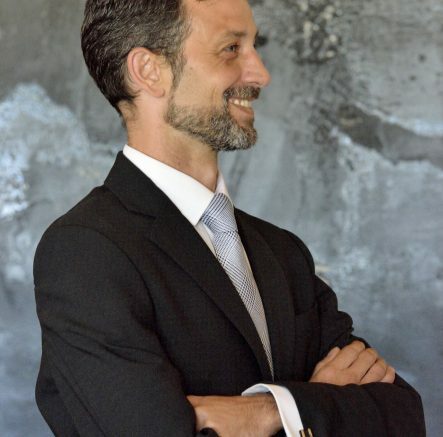 Restaurant manager of Quique Dacosta Restaurant. Gourmet Club award winner as best maitre of Spain and international Gueridón de Oro award for his outstanding work in the dining room. Didier Fertilati has been part of Quique Dacosta Restaurant since 2007. As restaurant manager he plays a magnificent role as host and master of ceremonies. His professionalism and experience have been important bastions for the restaurant in Denia and has today become one of the best in the world. Three Michelin stars, two consecutive years as the best restaurant in Europe by Opinionated About Dining and being in the selection made by The Restaurant magazine ‘The World’s 50 Best Restaurants’ endorse the great trajectory of Fertilati. In his professional career he has been part of teams such as the renowned British restaurant The Fat Duck (3 * Michelin), where he was in charge of the dining room for five years, including 2005 where the restaurant achieved the award for best restaurant of the world for ‘The 50 Best Restaurants’. In addition, he has been part of the team of restaurants such as La Chèvre d’Or, Le Roussillon, La Bella Otero and Le Moulin de Mougins. Currently he is fluent in French (mother tongue), English, Spanish and Italian. Best prize for maître for the magazine “Club de Gourmets” 2014.
International award “Gueridón de Oro” for outstanding work in the dining room in 2014. (Granted by Congress in San Sebastián Gastronomika). 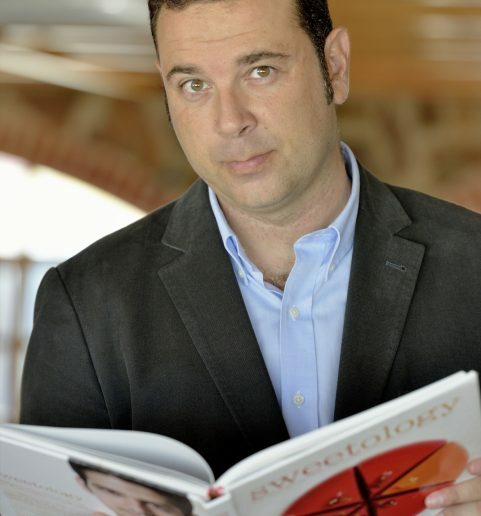 Expert in gastronomic media communication, journalist and food critic of La Verdad journal (Group Vocento). Director of the yearly Murcia Gastronomica. Sergio Gallego is Director of the congress for Murcia Gastrónomica that takes place in the region of Murcia (Spain). He has also conducted different fares and congresses such as Degustho Almería, GastroTours and Rojo&Red. He is a gastronomic critic for the newspaper La Verdad (VOCENTO) since 2010 and directs the gastronomic section for La Brújula del Gourmet and GastroCope and for the radio station Cope Murcia. He collaborates with specialised gastronomy magazines such as Gastronosfera and has been part of the advisory group for the Degree in Gastronomy at the Catholic University of Murcia, where he also teaches in the practices of Communication. Producer of the restaurant guide “Los 50 imprescindibles”, The 50 Essential in the Region of Murcia and has participated in numerous round tables related to gastronomic communication such as the VIII Forum of Journalists held at the University of Elche, the Tourism Qualification Centre or UCAM, and in the Gastronomic Journalism course at the Complutense University of Madrid. more than a dozen interviews with great chefs such as José Andrés, Joan Roca, Quique Dacosta, David Muñoz, Andoni Luis Aduriz and Ferran Adrià. He has previously been a media communications consultant at the 10th Anniversary of the Cabaña Buenavista Restaurant (1* Michelin) and other restaurants in the different fields of gastronomy. Whilst training as a gastronomer, he has gained experience in restaurants like Quique Dacosta, Alejandro or Arzak. In addition to having experience in several restaurants throughout the Region of Murcia with the same intention of learning from within the intricacies of gastronomy. Graduated in journalism, he studied a year in Coimbra (Portugal) and several months in Ireland and Holland. Previously he has taken part in Murcia television, Onda Cero and 7RM, where he carried out several collaborations and a gastronomy program. A DIRCOM consultant advising various companies in the sector of gastronomy and the art of media communication as well as other areas of the cultural and social industry. Fuego Amigo is a gastronomic consultancy that is born with the intention of helping small and large restaurants alike in their daily struggle to improve and give a better service.